From the creator of the iconic "Cathy" comic strip comes her first collection of funny, wise, poignant, and incredibly honest essays about being a woman in what she lovingly calls "the panini generation." As the creator of "Cathy," Cathy Guisewite found her way into the hearts of readers more than forty years ago, and has been there ever since. Her hilarious and deeply relatable look at the challenges of womanhood in a changing world became a cultural touchstone for women everywhere. Now Guisewite returns with her signature wit and warmth in this debut essay collection about another time of big transition, when everything starts changing and disappearing without permission: aging parents, aging children, aging self stuck in the middle. With her uniquely wry and funny admissions and insights, Guisewite unearths the humor and horror of everything from the mundane (trying to introduce her parents to TiVo and facing four decades' worth of unorganized photos) to the profound (finding a purpose post-retirement, helping parents downsize their lives, and declaring freedrom from all those things that hold us back). No longer confined to the limits of four comic panels, Guisewite holds out her hand in prose form and becomes a reassuring companion for those on the threshold of "what happens next." Heartfelt and humane and always cathartic, Fifty Things That Aren't My Fault is ideal reading for mothers, daughters, and anyone who is caught somewhere in between. 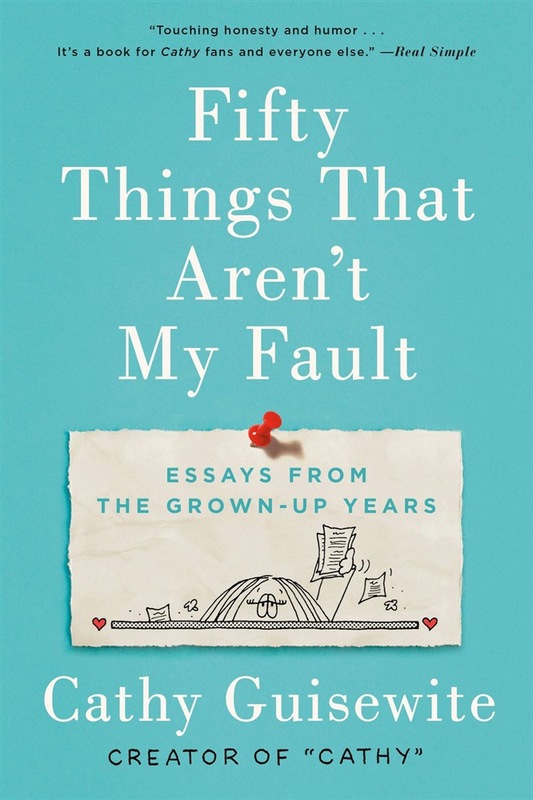 Acquista Fifty Things That Aren't My Fault in Epub: dopo aver letto l’ebook Fifty Things That Aren't My Fault di Cathy Guisewite ti invitiamo a lasciarci una Recensione qui sotto: sarà utile agli utenti che non abbiano ancora letto questo libro e che vogliano avere delle opinioni altrui. L’opinione su di un libro è molto soggettiva e per questo leggere eventuali recensioni negative non ci dovrà frenare dall’acquisto, anzi dovrà spingerci ad acquistare il libro in fretta per poter dire la nostra ed eventualmente smentire quanto commentato da altri, contribuendo ad arricchire più possibile i commenti e dare sempre più spunti di confronto al pubblico online.